The greatest thing to ever happen in Battlefield, with new episodes every Monday and Thursday. This page features the ten most recent episodes. For earlier episodes, check out the Archives. Episode 121 of Funfield, where we wrap up Pistol-looza, we once again stake out the rooftop in Rogue Transmission, and Kual surprises no one by yelling at Dan for ammo. 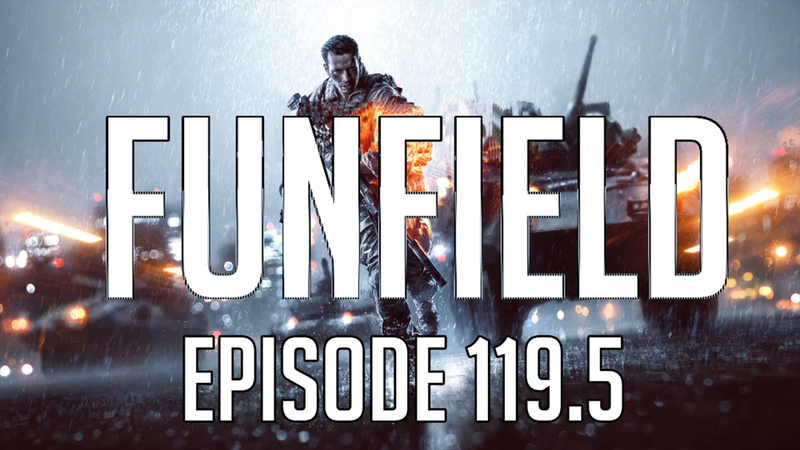 Episode 120 of Funfield, where we continue the pistol spree, Dan finds out what happens when he uses grenades, and Kual won't stop asking for ammo. Episode 119.5 of Funfield, where we continue to make fun of Kual's flooded basement, Arveene hides in a box, and we knife the heck out of everyone in sight. Episode 119 of Funfield, where we return to Pistol's Only servers, Dan forces Arveene to jump ship to the other team, and we make fun of Kual for having his basement flooded, because we're terrible people. Episode 118.5, featuring Dan's new idea for an episode segment, the Ace 21 turns Dan into a headshot monster, and we murder the Easter bunny. Episode 118 of Funfield, where Dan questions the PKP's viability, lag spikes drive everyone to anger, and we come up with an interesting theory about Solid Snake. Episode 117 of Funfield, featuring Arveene’s love of C4-ing vehicles, Kual gripes about the terribleness on the Internet, and we continue our trend of backdooring like no other on this map. Episode 116.5 of Funfield, where we believe that we’re good at this game, Dan takes a rocket to the face, and we have way too much fun with the quad bike. 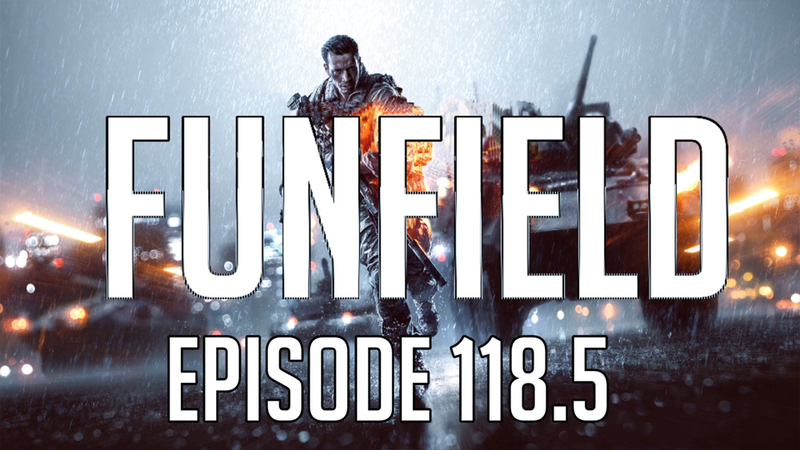 Episode 116 of Funfield, featuring our discussion on competitive gaming, Arveene becoming a metal detector annoyance, and rampant teamkilling makes its grand return.